Photosynth on Multitouch, uploaded by TED Conference. On CNN’s Inauguration Day coverage today: a massive Photosynth of the precise moment that President Barack Obama took the oath of office. In the image above, an anchor sifts through individual images on a Multitouch screen. 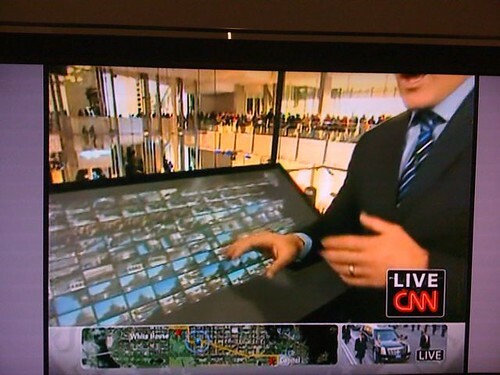 We’re proud because both these technologies — Photosynth and the Multitouch screen — were demo’d first at TED.